I’ve had some serious struggles with gardening lately! There’s too much sun exposure, not enough water, out-of-whack soil, mulching, etc. Finally, I sent a soil sample off to be tested and found out how wrong it was. The pH was perfect, nitrogen was close to perfect, but the phosphorus, potassium, magnesium, and calcium were through the roof! The UF Extension Soil Testing Lab recommended that I add a small amount of nitrogen to my gardens to even everything out. 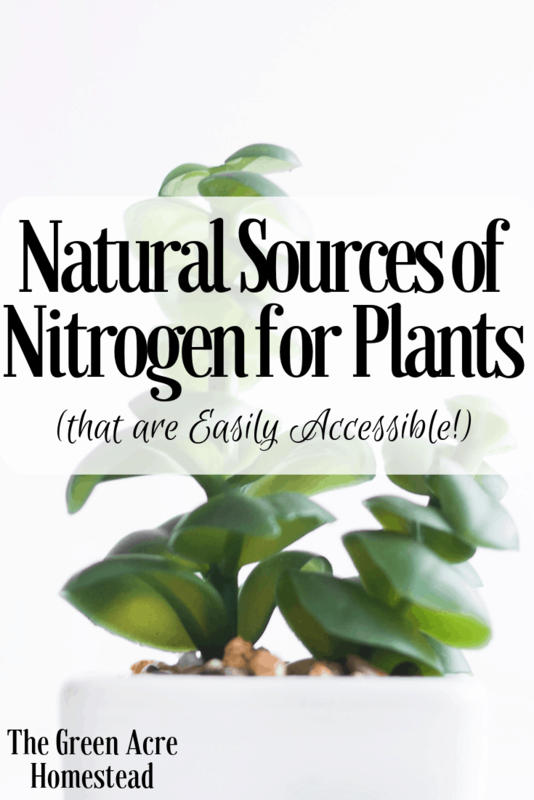 I wanted to keep my gardens organic so here’s some knowledge on natural sources of nitrogen for your plants! Bone Meal is a really great, natural way to add a nitrogen source to your planting soil. You can buy bags of organic bone meal at any garden store, including Walmart, and the price is reasonable. You can also make your own bone meal, which I’m planning to try in the next couple of weeks! I’ve been saving up bones for a while now and plan to make bone broth and bone meal. I plan to use this recipe by Salt in My Coffee called “How to Make Bone Meal“. Pretty straight forward, I’ll let you know how it goes! This is one example of how to naturally add nutrients, such as a nitrogen source, to your soil. Did you know different crops give and take certain things to and from the soil it’s planted in? By planting beans, you’re adding nitrogen to the soil with no extra work or supplements! How cool is that? This makes beans a great planting companion for strong nitrogen feeders such as broccoli or cabbage. Once I started learning and reading about gardening I just thought that was the coolest thing! That’s why companion gardening is so important and can boost your gardening game BIG TIME. I, myself, am going to be practicing more companion planting this Spring Season. If your house is like my house then you also have an abundance of coffee grounds! I compost all of my coffee grounds right now. They act as a great natural source of nitrogen for composting that we’ll one day add to our plants! If didn’t need compost, I would set aside those coffee grounds to mix them into the soil. You can do this while you’re planting! Coffee grounds don’t immediately add nitrogen to your soil. Instead, they slowly break down adding organic matter and nitrogen to your soil. Adding organic matter to your soil can help with drainage, aeration, and water retention! Leaves also act as a great organi and natural material you can add to your soil for a natural source of nitrogen, aeration, etc. Mulching is great because it helps with water retention, keeping your soil cool, prolonging the life of your soil and so much more. It’s easy to deal with mulch when you’ve used leaves because at the end of the season you can just mix the leaves into the soil! Presto! Organic matter AND nitrogen, all at once. We tried to mulch this Fall season 2018 with this stuff called “EZ Mulch”. I will NEVER do it again because I’m pretty sure there is some type of chemical on that stuff. I’m upset I trusted it because it only seemed to cause me problems. Next time I mulch, I’ll use a NATURAL source for my plants. Here’s a great article about a few different types of mulch to use! I know I already mentioned Salt in my Coffee but I’m going to do it again. Anna wrote a great article about the Deep Litter Composting Method called “Chicken Manure Compost in 18 days” and it’s really wonderful. Chicken manure is very high in nitrogen and can be one of the best sources of nitrogen you can find! You do have to let it age because it can “burn” your plants if you don’t, and that’s when Anna’s method comes in quite handy! If you’ve never used the Deep Litter Method in your hen house, I think now is as good of a time to start than any other! After all, of all animal manures, chicken manure is highest in nitrogen! Well, there ya have it! Get out there and naturally add some nitrogen to your soil for all your lovely plants to soak up. Let me know if you have any questions, comments, concerns, tips, tricks or what have you. I’d love to hear it!